With all those arms, hes just that much easier to hug! 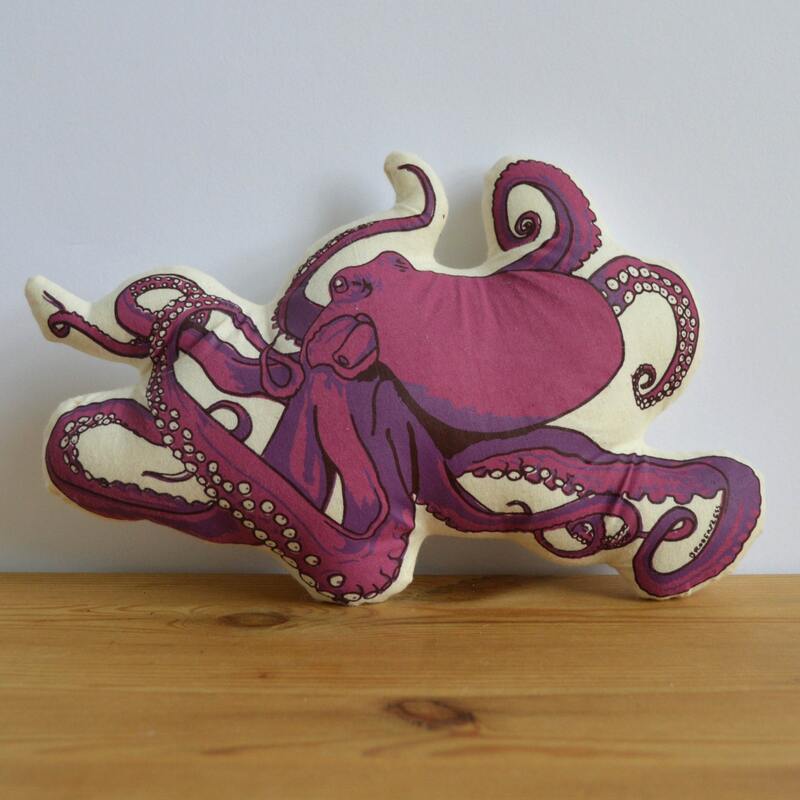 This toy is hand printed, stuffed, sewn and is sure to jump start your child's imagination. 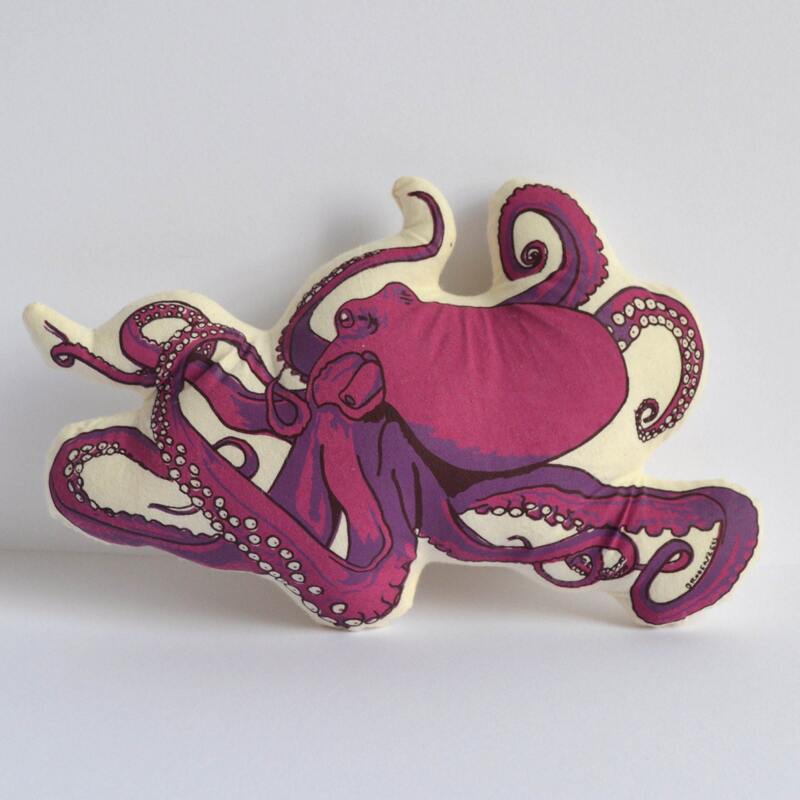 Materials: All toys have been silkscreened with non-toxic water based acrylic paint. They are printed on muslin fabric and stuffed with 100% poly-fil. Was originally suppose to be a gift for a friend-but I saw it in person & fell in love and decided to keep it for myself for my new room 😁 thanks so much! Love it. 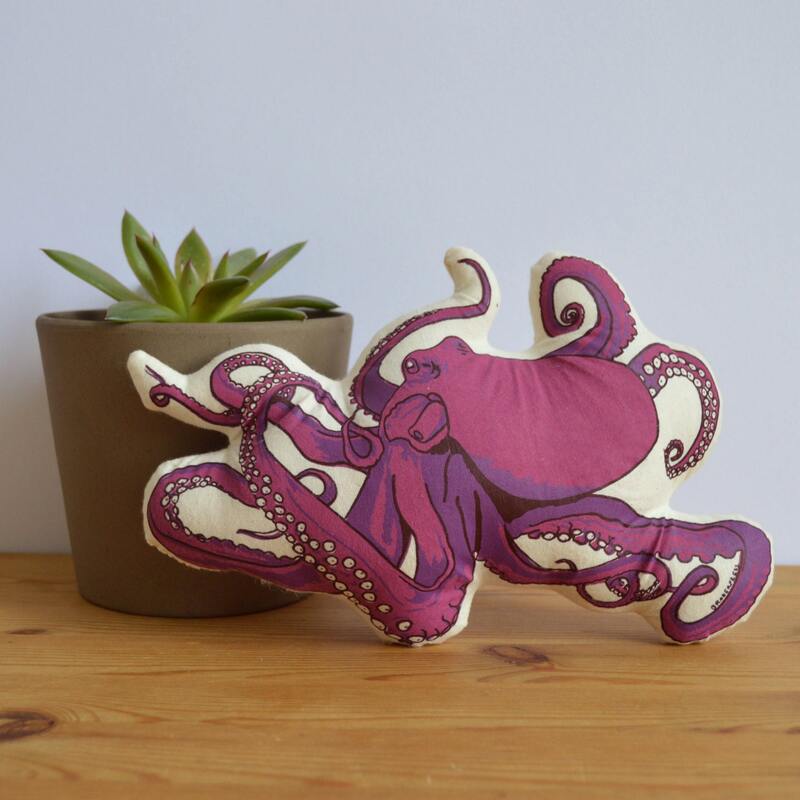 It came quick, its adorable, I love the colors and it made a beautiful addition to my octopus collection. Super cute.